Produces long, slender white roots. 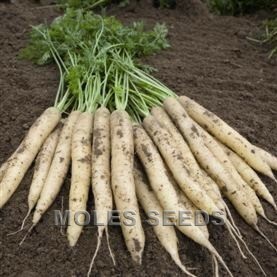 Good texture and flavour when compared to other white root varieties. Approximately 95 days from sowing to maturity.